Partnering with Rutgers Student Health, members of Phi Delta Chi helped to promote and run the university’s annual flu vaccine clinics. A young woman wakes to find her roommate missing. Suddenly a hand reaches up from the foot of her bed and grabs her leg. It’s her missing roommate, who’s been stricken by a mysterious illness. Making her way outside, she encounters others suffering from the same symptoms. Arriving at the library, it seems eerily quiet. Upstairs, she finds just one student studying. She texts the friends who she’d come to meet. One-by-one she receives a reply. They can’t make it, they’re all sick. While the two-minute short mirrors the opening sequence of an apocalyptic Hollywood thriller, it’s actually a promotional video for Rutgers Student Health’s annual flu vaccine clinics. And chances are, if you’ve spent any time on the Rutgers–New Brunswick campus this flu season, you’ve seen it. Rutgers’ annual flu clinics didn’t always draw much attention, let alone a crowd. The initiative began with a single nurse practitioner that would go to various campus venues, administering a handful of vaccines at a time. Over the years, bigger student health groups began coordinating in an effort to grow the program, but the campaign remained relatively siloed. Then in 2016, two students were diagnosed with bacterial meningitis. Looking to stop the outbreak in its tracks, student health implemented numerous measures to protect the university community. Looking outward for help in planning several large-scale vaccination clinics, the department began collaborating with student organizations, other campus partners within the Division of Student Affairs, and third-party vendors such as Walgreens. Based on the success of that model, student health restructured some of its smaller programs like the flu clinic, opening the door for Choi, Kim, and Phi Delta Chi (PDC), a professional, co-educational pharmacy fraternity. One of three professional pharmacy fraternities officially recognized by the university, PDC was founded at Rutgers in 1992 and has been committed to charitable causes since its arrival on the banks. Active in Dance Marathon, the fraternity has also fundraised for St. Jude Children’s Research Hospital, the national organization’s philanthropic partner, and when the opportunity to work with student health presented itself, its members needed little convincing. 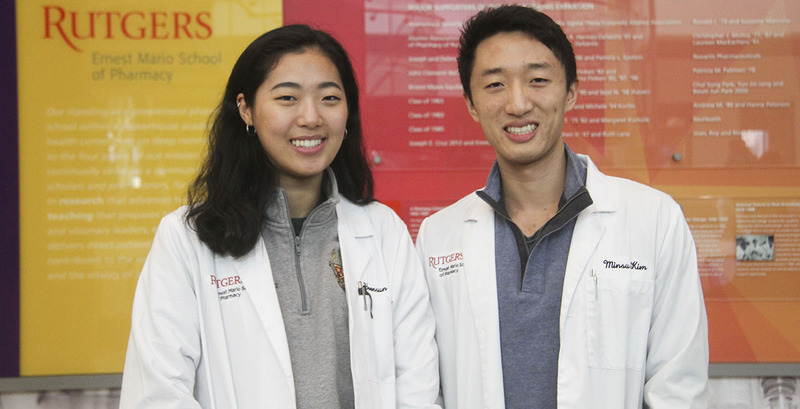 Natives of Bergen County, New Jersey, both Choi and Kim have been involved with the student health flu clinics since PDC’s association with the initiative. With Choi serving her second term as a coordinator and Kim getting a glimpse into its operation as one of the fraternity’s volunteers last year, the pair entered the 2018-19 cycle as PDC’s primary student liaisons with student health. One of their first suggestions was to streamline the clinics themselves. In years past the sheer number of locations spread staff too thin. Instead, they advocated for just two locations on the clinics’ three proposed days. By better leveraging high traffic areas within student centers as well as centralized locations such as the Yard on College Avenue, they could help alleviate some of the pressure on volunteers, while still ensuring the clinics were accessible to a large segment of the university community. The duo also recommended altering the flow of the clinics to cut down on wait times and more efficiently process and vaccinate students. But most importantly, Choi, Kim, and the PDC committee worked in conjunction with student health’s own marketing arm to make sure information about the clinics was almost unavoidable. There were table tents in the dining halls and ads in the residence halls, student centers, and yes, the gym. They reached out to larger umbrella organizations like the Rutgers University Student Assembly (RUSA) to help amplify their message. 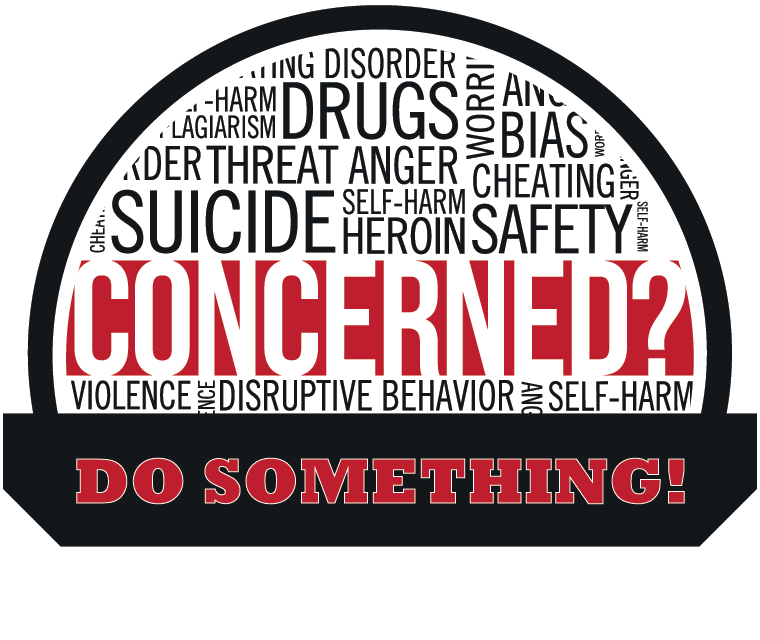 Posters were placed in local business and eateries on Easton Avenue and a social media calendar was created to ensure students were receiving constant, coordinated reminders. There was even the promise of free t-shirts to those who got vaccinated early. And finally, there was the now-famous video, simply shot with an iPhone over the summer, starring the PDC committee members themselves. The numbers spoke for themselves. During the two clinics last semester on October 10, student health vaccinated 951 students – eclipsing the total of all five of the previous year’s clinics combined (838). The following month on November 13, another 763 students received vaccinations, bringing the total thus far to 1,714. To deal with the increase of students, Choi and Kim recruited fellow members of PDC to work rotating shifts. Helping to greet, check-in, and assist other students in filling out insurance forms and other paperwork, fraternity members also monitored the line flow, helped student health collect data as part of an initiative with the New Jersey Department of Health, and educated students about the flu vaccine in hopes of dispelling common myths. Alongside Choi, Kim, and PDC, student health will host two final clinics on Tuesday, January 29. Taking place from 1-9 p.m., vaccination locations will be held at the Livingston Student Center and the Sojourner Truth Apartments (The Yard). For more information on the Rutgers Student Health flu clinics, please visit: health.rutgers.edu/flu. To learn more about Phi Delta Chi, one of 13 fraternities recognized on the university’s Professional Fraternity Council, visit: www.rutgerspdc.org.